Andrei Tarkovski is one of the most outstanding directors of the Soviet period. Born on 4 April 1932, he has to face a difficult path with unpleasant events during times of hostility for society. At a rather young age he witnesses the divorce of his parents, a fact that would cause considerable changes in his life, having to live with the maternal grandparents. When he is less than 12 years old, he has his leg amputated after a serious accident. However, this personal tragedy will not influence his success in life. He attends classes at the Institute of Fine Arts, but he quits because he catches tuberculosis. After many attempts and surrenders during his career, he comes to study at the State Institute of Cinematography, where he writes and directs a part of the movie The Killers. This is the beginning of his career as a director. Even though his work is reflected in 7 films and short films, the quality of these achievements would place him in a positive light, both nationally and internationally. Ivan’s Childhood, his first short film, is firstly appreciated in Moscow, and then it is awarded the Golden Lion at Venice. He asserts himself both as a director (The Sacrifice – 1986, Nostalgia – 1983, Voyage in time – 1983 etc.) and as an actor (Voyage in time, Sergey Lazo, Ubiytsy – 1956). His films have a moralistic feature, being based on actual events from the daily life. 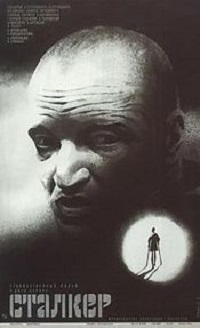 The peaceful life of Alexander, a former director, actor and critic, is depicted at the beginning of the film The Sacrifice. However, there is an element which breaks this silence and changes their life dramatically – the outbreak of a nuclear war. We can find the existential approach in the film Nostalgia as well. The action takes place in the 18th century, when the Russian composer Gorchakov goes out in search of a compatriot musician, in order to write his biography. I want to preserve the level of quality. Like Atlas holding the Earth on his shoulders. He could, after all, have thrown it off when he got tired. But he didn’t. For some reason he went on holding it up. That, incidentally, is the most remarkable point of the legend: not the fact that he held it up for so long, but the fact that he did not become disillusioned and threw it down. Tarkovski managed to become an influential figure regardless of the disturbing factors in his life. He died on 29 December 1986 at the age of 54 in Paris.